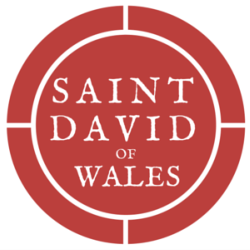 St. David’s uses the Godly Play curriculum. Godly Play is a Montessori-based, agenda-free experience to help children explore their own innate spirituality and questions about God. Creativity and fun are always a factor! 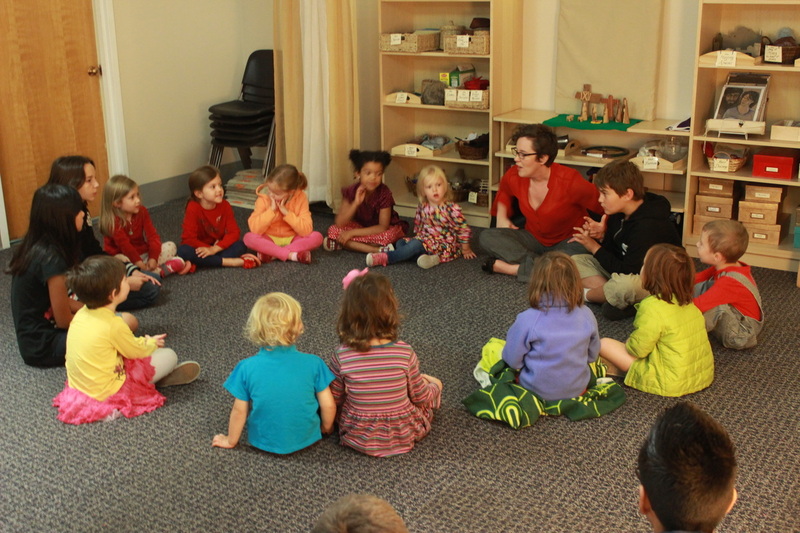 Our Godly Play classroom is a great place to be on Sunday mornings. Historically, Sunday school has begun in church every Sunday. Children began their worship day with their families and the main congregation and then leave with their teachers for a Godly Play lesson. They have re-joined their families for Eucharist and the rest of the service. . 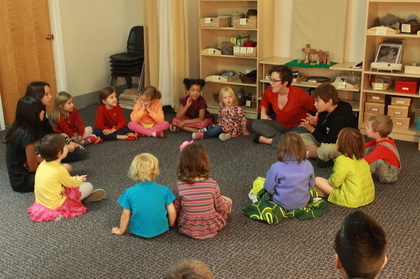 If you would like to know more about the Godly Play program at St. David's, contact our office at office@saintdavidpdx.org or call 503-232-8461. Feel free to sit towards the front where it’s easier for little ones to see and hear. Sing the hymns, pray and respond. 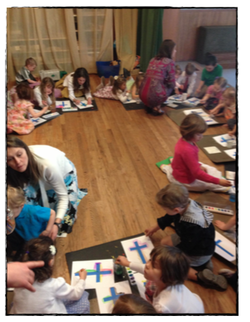 Children learn liturgical behavior from you. If you need to leave Mass with your child, feel free to do so, but please come back. Remember! The way we welcome children in church directly affects the way they responds to Church, to God, and to Christ. Let them know that they are at home in this Liturgical gathering.